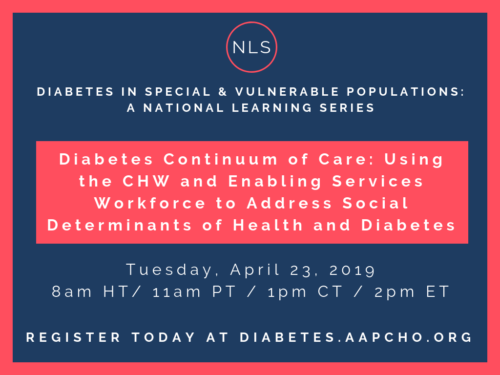 This is the final webinar in our Diabetes in Special & Vulnerable Populations: A National Learning Series. To explore strategies around integrating Community Health Workers into the patient-provider relationship. To understand the value of Enabling Services data collection to address social risk factors of patients with diabetes. To incorporate interdisciplinary team-based care concepts to address patients’ health and social needs.